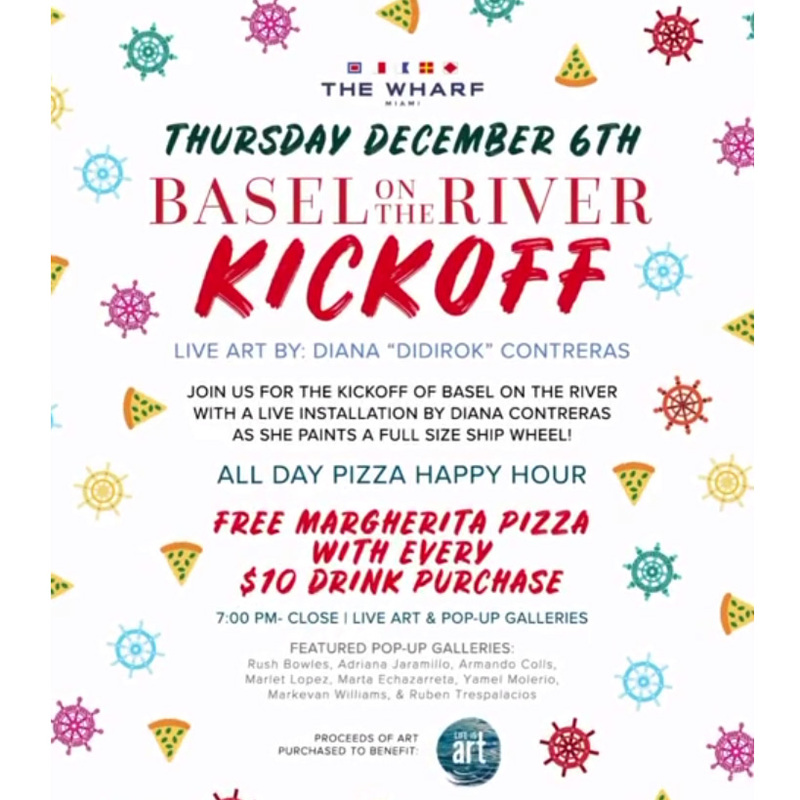 #BaselOnTheRiver Starts Tonight at 7pm with Live Art and Free Pizza! Let’s basel, baby.  We’re kickin’ off #BaselOnTheRiver today with local artist Diana Contreras & Life Is Art, Inc! Pop up galleries by local artists! Miami’s largest pizza party EVER continues too. Enjoy a F R E E margherita pizza pie from @sprispizza with every drink ($10 value) purchased from Noon ‘til Midnight. Walk-ins welcome.